After months on hiatus, Brighter Day Baby is open again! 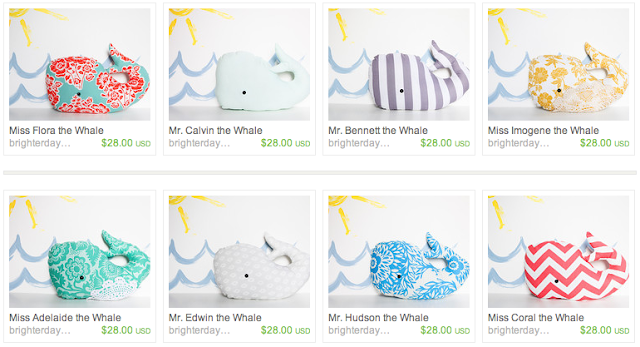 I'm slowly stocking the shelves with ready-to-ship items only, and all of the whales in the shop right now are one of a kind. Once they're gone, they're gone! Until Monday, enter the coupon code "FREESHIP" to receive free shipping. SHOOT! I NEED ALL OF THEM! I agree with Kelsey. The cutest names!